Jaxson, a young boy who lives in British Columbia, had a favourite stuffed friend named Baby Meow. According to his mother, Jaxson took Baby Meow everywhere with him- until one day, his special friend went missing. 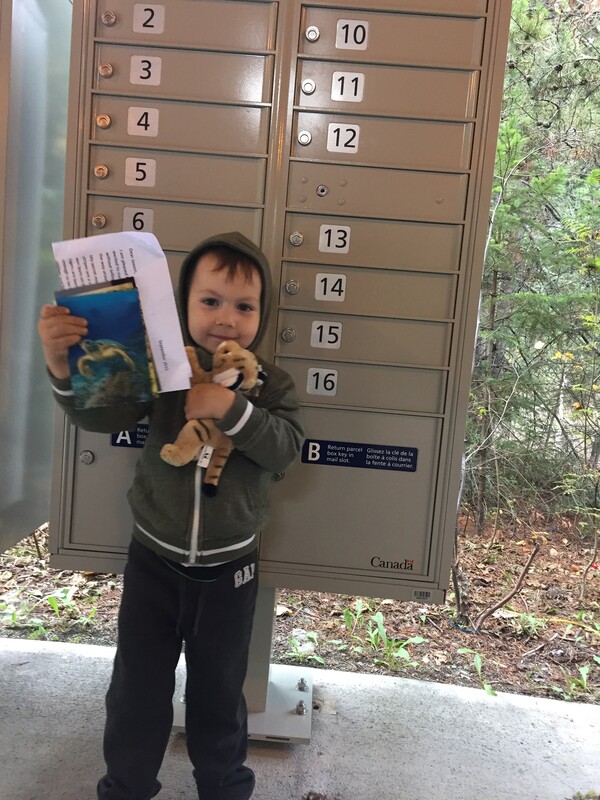 As Meow was originally purchased at the Calgary Zoo, Jaxson’s mother gave our retail manager a call hoping to find a replacement for the little stuffed tiger. Perhaps Baby Meow could be travelling, and could return home to Jaxson when he was done with his trip? Calls like this are not unusual, but Manager Kathryn quickly recognized that the specific feline stuffed animal was no longer sold in the gift shop. However, it was Jaxson’s lucky day; Kathryn knew someone who might be able to assist her search. She contacted an old representative for the company that made the stuffed animal, and the hunt was on! The representative did know of the stuffie. The particular type was discontinued, but she was able to call in a favour. Much to Kathryn’s delight, the representative was not only able to find another version of the Baby Meow stuffie, but had created a backstory for the toy’s “trip”. This included a letter from Baby Meow during his ‘trip’ and postcards from the different places that he had ‘travelled’. A very exciting package was then out in the mail and began its final trip to B.C. The zoo soon received this note from Jaxson’s mom. 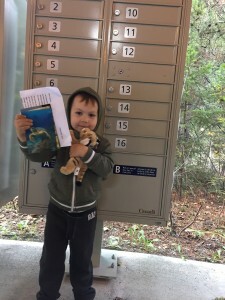 Baby Meow arrives back home to Jaxson with a letter and postcards of his travels. 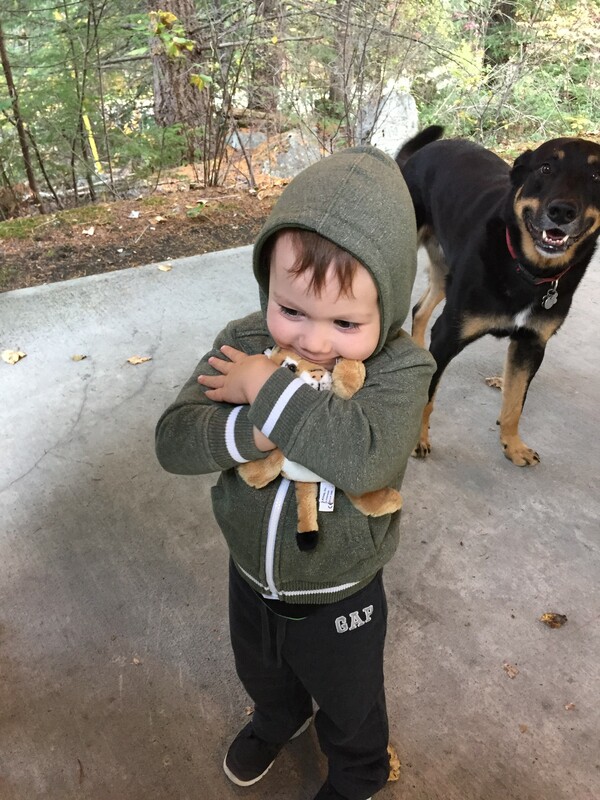 Reunited- Jaxson gives Baby Meow a welcome home hug. This little story has a happy ending- Jaxson has been reunited with his good friend and is thrilled. 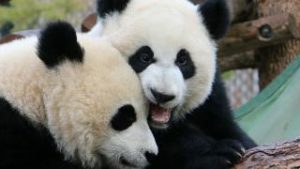 We’re so pleased that Jaxson’s mother contacted us, and that we could help our zoo friend. While Baby Meow went travelling for a while, he’s now home to stay. 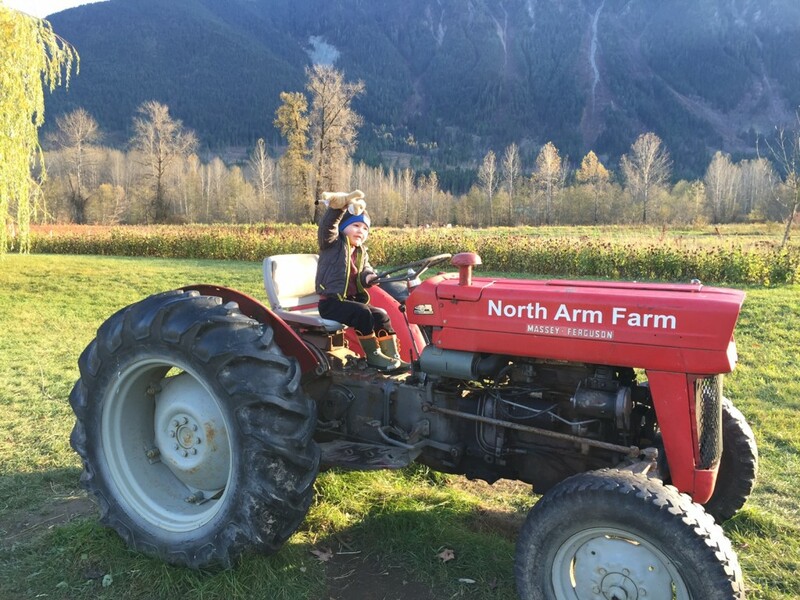 Jaxson takes Baby Meow for a ride on a tractor.